On the 14th (Tue), contemplate the long history of Palacio do Deao. 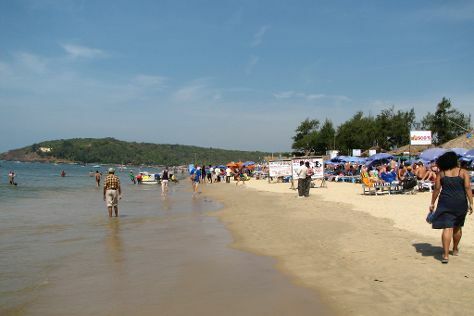 To see other places to visit, where to stay, photos, and other tourist information, go to the Goa trip planner . Chennai to Goa is an approximately 6-hour combination of flight and bus. You can also do a combination of flight, taxi, and train; or drive. When traveling from Chennai in May, plan for slightly colder days and about the same nights in Goa: temperatures range from 36°C by day to 32°C at night. Wrap up your sightseeing on the 15th (Wed) to allow time to travel to New Delhi. 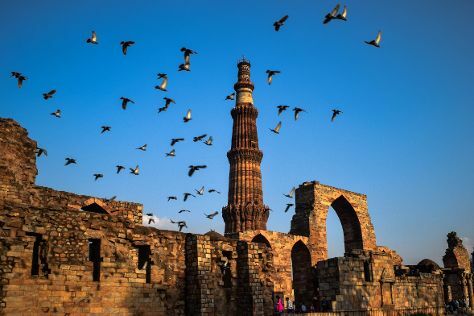 On the 16th (Thu), enjoy breathtaking views from Qutub Minar, admire the natural beauty at Humayun's Tomb, then steep yourself in history at India Gate, and finally see the interesting displays at National Museum. For reviews, photos, other places to visit, and more tourist information, you can read our New Delhi day trip planner. Do a combination of bus and flight from Goa to New Delhi in 6.5 hours. Alternatively, you can do a combination of bus, taxi, and flight; or drive. Traveling from Goa in May, you will find days in New Delhi are a bit warmer (47°C), and nights are about the same (30°C). Wrap up your sightseeing on the 16th (Thu) to allow time to drive to Agra. Kick off your visit on the 17th (Fri): make a trip to Agra Fort, then admire the striking features of Jahangir Mahal, and then contemplate the long history of Taj Mahal. To see other places to visit, traveler tips, more things to do, and tourist information, read Agra online journey planner . Traveling by car from New Delhi to Agra takes 3 hours. Alternatively, you can take a train; or take a bus. May in Agra sees daily highs of 48°C and lows of 30°C at night. Finish your sightseeing early on the 17th (Fri) so you can drive to Jaipur. Start off your visit on the 18th (Sat): look and learn at Jantar Mantar - Jaipur, get engrossed in the history at City Palace of Jaipur, then admire the landmark architecture of Amber Palace, and finally look for gifts at Gems Paradise. Before you visit Jaipur, use our trip planner to discover what you can do and see there. Drive from Agra to Jaipur in 3.5 hours. Alternatively, you can take a train; or take a bus. Expect a daytime high around 48°C in May, and nighttime lows around 32°C. Finish your sightseeing early on the 18th (Sat) so you can travel back home.